Before the Hunger Games (2012) there was a grossly popular Japanese film by director Kinji Fukasaku called Battle Royale (2000), and there was today’s subject, an obscure little film called Series 7: The Contenders (2001) by Daniel Minahan. Based on his experiences working in reality TV, Minahan exploits his intimate knowledge of reality television to accost that hypocritical world with scathing ridicule. In this deadly serious mockumentary, Minahan takes us through highlights from the seventh season of a fake hit reality series called “The Contenders” in which a group of individuals are selected at random to compete in an anything-goes deathmatch. Think of Series 7 as the Roman gladiatorial games meets reality television. The story is short and efficient, confronting head-on a two-pronged theme: that the American public’s insatiable lust for entertainment and the media’s unscrupulous push for ratings could ultimately lead to the sacrifice humanity itself. Minahan drives home his point with merciless precision by employing a faux unscripted format which so closely resembles the genuine article that one wonders if such an inhumane entertainment is not too far off, if our “advanced” civilization has deteriorated to the point of reviving Roman gladiatorial bloodsports just to keep audiences entertained. Or perhaps Minahan is saying that reality television as it is now is an emotional battle royale in which there can be only one survivor. Character lies at the heart of the script. Plot twists usually occur in the form of character reveals, and everyone in The Contenders hides aces up their sleeves. Even the most unassuming combatant will surprise you more than once. Viewers may recognize the star of the film, Brooke Smith, whose prior work include roles in Grey’s Anatomy and The Silence of the Lambs. 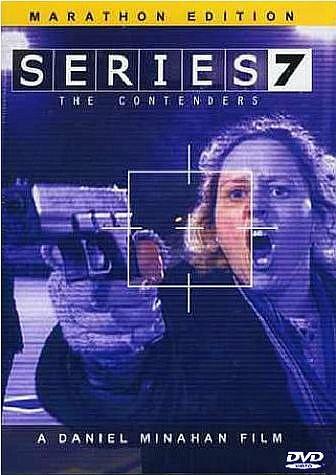 Daniel Minahan’s Series 7: The Contenders is a complete surprise and a must see, an impressive low-budget film worthy of its stock. 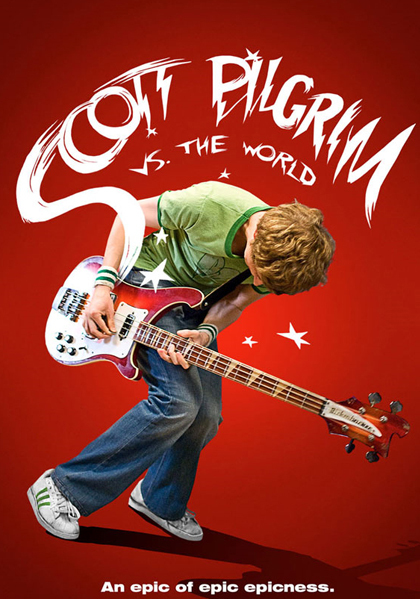 Available on streaming at Netflix.com. Damned by Chuck Palahniuk follows the idea that every cliché you’ve ever heard about Hell is absolutely and completely true. And Hell isn’t really that bad of a place so long as you don’t expect it to be like Heaven. All it needs is a little optimism and some long-overdue re-landscaping by the supernumerous tenants. The book is creative, thoughtful and entertaining, and is probably more broadly-appealing to readers than most of Palahniuk’s other, more shockingly gruesome works. 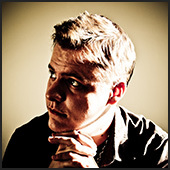 With trim, lean writing the author creates the most sympathetic, likable protagonist of his career. To his credit, the 13-year old female protagonist is thoroughly authentic in thought and viewpoint, which allows Palahniuk to lead the character to a number of unusually profound conclusions. Like the protagonist, every member of the supporting cast is similarly illustrated with sympathetic—if not tragic—human weaknesses. As the backstories of these characters are revealed the reader becomes continually haunted with the idea that there is no Heaven at all, and that Hell is for everyone. 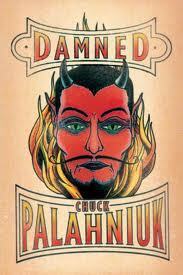 Despite its strengths, Damned is not Palahniuk’s best. His trademark technique of using repetition in changing contexts fails to fulfill its purpose in this novel. The result is frequently negatively iterative, if not, at times, indulgent. The structure of the final act is particularly weak as well, giving the impression that the novel was cut short of the full story the author was trying to tell. Virtually without warning, we are ushered to a rapid climax which dissipates with an anti-climax. The pivotal idea to the story’s final revelation—that the main character is driven by free will—is hindered by the poor structure and ultimately results in invalidating all the story which preceded it by making it feel pointless. Damned is worth a read, especially for those who love anti-fundamentalist and anti-liberal satire. Although all of Chuck Palahniuk’s novels satire American culture, Pygmy is perhaps the most pungent of the author’s bibliography. Technically sound, fascinating and shocking. And while many readers may take issue with the nature of certain violent events which occur in the story, these events are in fact appropriate to the story, even if they are presented in a fashion to maximize shock factor. The audio book recording of the book is an excellent alternative for Palahniuk fans who wish to avoid the grammar headaches of reading the novel’s own form of pidgin English, which can be extremely laborious. 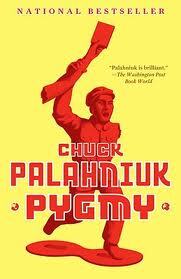 Pygmy is an absolute must-read for fans of Chuck Palahniuk. However, strangers to his work may find the book distasteful if not virtually impossible to read. On the other hand, adventurous readers should absolutely give the book a perusal. 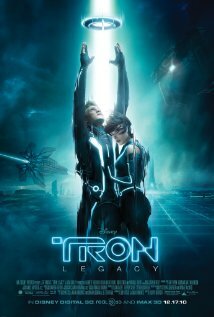 TRON: Legacy is a delightfully updated remake/sequel of the original Tron (1982), although it’s more of the PG Disney version of The Matrix for tweens, than anything else. With a strong, robust 15-minute opening sequence, this visually stunning film dazzles the eyes with dark, sleek spectacle without becoming intrusive or overbearing (no surprise, coming from Disney). The landscapes and color palettes, although reminiscent of the original TRON, seem to be inspired far more by The Matrix and The Dark Knight. 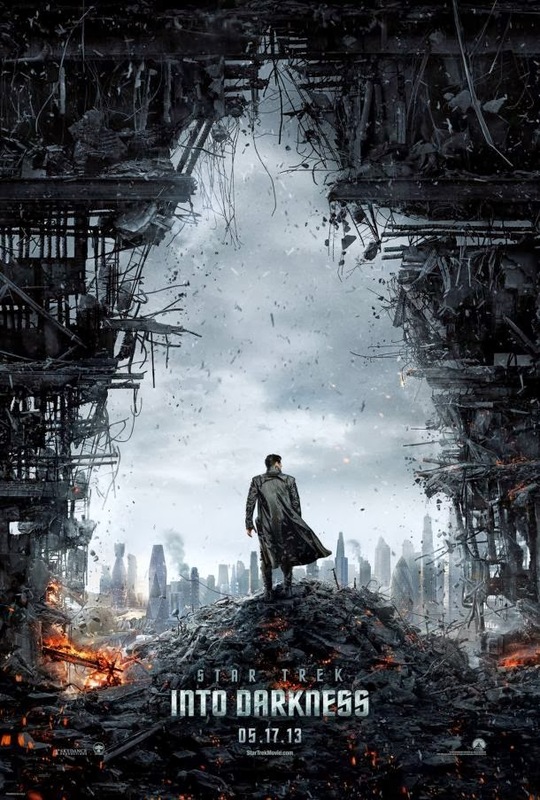 Excellent directing and cinematography are worth noting (Kosinski managed to handle this big blockbuster budget directing debut without drowning). The film’s visual elegance is complemented by a minimalist, electronica-revival soundtrack. As is typical of an action/adventure film, the plot is thin, even though the concept is good enough for a potentially breathtaking story. The magic of TRON: Legacy begins to fade toward the middle of the film as the weaknesses of its mediocre storyline are revealed, dispelling some, but not all, of the immersive filmic experience. And although there are a few instances of borderlines senseless technobabble, a few stretches of logic (such as programs acting exactly like humans), and clichéd generic dialogue, this tightly-woven, efficient film is a visual feast and thoroughly enjoyable. Garrett Hedlund stars as Sam Flynn with surprising presence. Often he appears to be imitating a younger, more restrained version of Christian Bale in voice and countenance. Jeff Bridges as Kevin Flynn* brings both dimension and depth to his character, adding that touch of subtlety akin truly great acting—and the same would be more than welcome in Sam Flynn and Quorra (played by Olivia Wilde) as well. On the other hand, Zuse (played by Michael Sheen) appears curiously out of place and/or over-the-top within the tone of the piece, frequently sticking out like a decorative sore thumb after the parade. *It seems apt that I am writing this review on the day of Steve Jobs’ death because, in a sense, TRON: Legacy is about Sam Flynn, a fictional, magical Steve Jobsian visionary and technology emperor. If you’re wondering about the date, these reviews are usually posted several days after they are initially written.